Following the success of previous rounds of the NIHR Imperial BRC Public & Patient Involvement (PPI) grants scheme, the Patient Experience Research Centre (PERC) are delighted to announce the launch of Round 4. Deadline: Friday 19 October 2018 at 5pm. 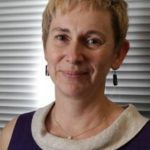 The purpose of this grant scheme is to support motivated researchers and their teams to undertake meaningful and impactful public and patient involvement that will shape their research and enhance the translation of biomedical research from bench to bedside. The duration of the funding is anticipated to be approximately 4 months.If your proposed activity is not related to the activity of the NIHR Imperial BRC, please check out the Societal Engagement Seed Fund. 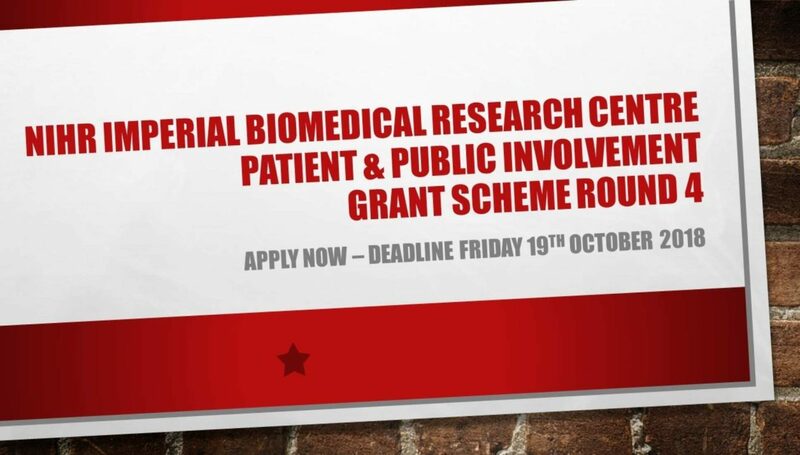 Guidance for the NIHR Imperial BRC PPI Grant Scheme can be found here. To see an example of what has been achieved through these awards, please read this blog about an interactive PPIE workshop on kidney transplant rejection.